Your macula is a small area of your retina, which is found at the back of your eye. Because it is located in the very center, light focuses on the macula, transferring it to your brain via the optic nerve. Your macula is also made up of light-sensitive cones, which allow you to see color. Thus, when a hole develops in your macula, it can have serious effects for your vision. Fortunately, we can often treat macular hole symptoms at our Kansas City, MO area practice. The doctors at Retina Associates, P.A., address a broad range of retina conditions. With a procedure known as a vitrectomy, they can often improve your symptoms and prevent pronounced vision loss. Macular hole symptoms often develop slowly. At first, you may experience mild vision blurriness or distortion, which will become more apparent over time. This distortion may be similar to looking at something through old, wavy glass. You may also find it difficult to distinguish fine details, since the macula is responsible for this part of your vision. At its worst, a macular hole will result in a dark spot in the center of your visual field, although your peripheral eyesight will remain unchanged. Macular holes typically only affect one eye at a time. However, if you have had a macular hole in one eye, you are more at risk for developing one in the other. Due to the slowly developing nature of macular hole symptoms, it is important to schedule regular eye exams. 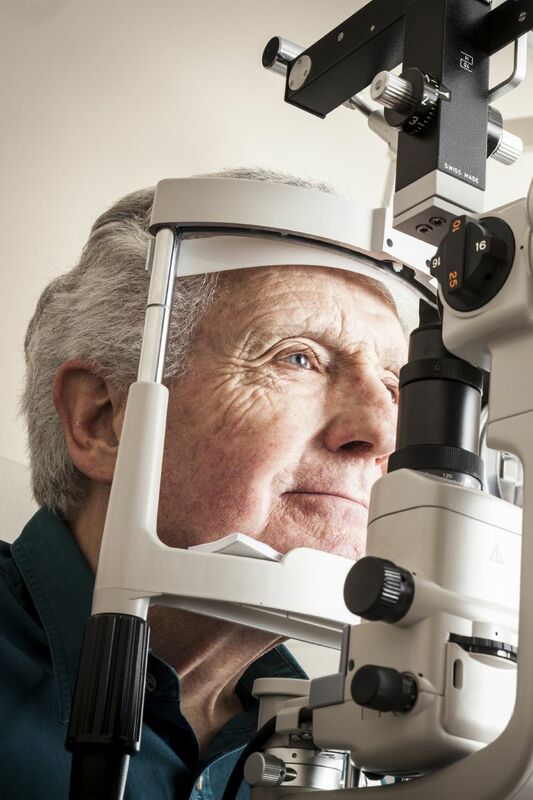 Through routine evaluations, your doctor can often detect a hole before your vision is severely compromised. There are three stages of macular holes. The stage it is in will affect your symptoms, as well as the likelihood of serious vision loss. Stage I macular holes are known as foveal detachments. If you do not receive treatment, there is a 50 percent chance that your vision will worsen. Stage II macular holes are known as partial-thickness holes. Without treatment, there is a 70 percent chance that your vision will get worse. Stage III holes are known as full-thickness holes. Your vision will almost certainly deteriorate if you do not seek treatment. In some cases, our care can eliminate macular hole symptoms and improve your vision. The earlier we catch the condition, the more likely you are to enjoy restored sight. Therefore, you should contact us as soon as you notice any potential signs of a macular hole. A vitrectomy is the most common treatment option. Your doctor will remove the vitreous gel inside your eye that is pulling on your macula. Then he will replace it with a gas bubble that will press against your retina to keep the hole closed. After surgery, you must remain face down for some time to ensure proper healing. Although the recovery process can be daunting, it is vital to ensure treatment success and the most effective reduction of your symptoms. If you are experiencing the signs of a macular hole, do not delay the treatment you need. Contact our office today to schedule your consultation and exam.